It’s that time of year again: the time when everyone who writes about games feels compelled to catalogue their experiences into top ten lists and award some lucky contestant the meaningless title of Game of the Year. It’s a fun way to collect our thoughts, reflect on how the medium advanced (or didn’t advance) since the last time around, and, most importantly, argue endlessly about why everyone else’s list is wrong. 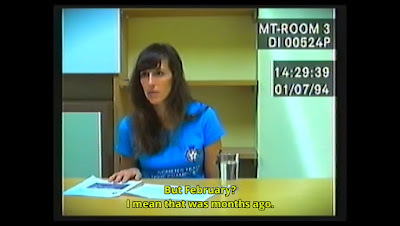 So without further ado, here’s the #5 title on my personal countdown: Sam Barlow’s Her Story. I don’t suppose there’s much left to say about Sam Barlow’s breakout FMV hit that hasn’t been said, so I’ll keep it brief and reflect on my more recent follow-up experiences with the game as opposed to my original playthrough. 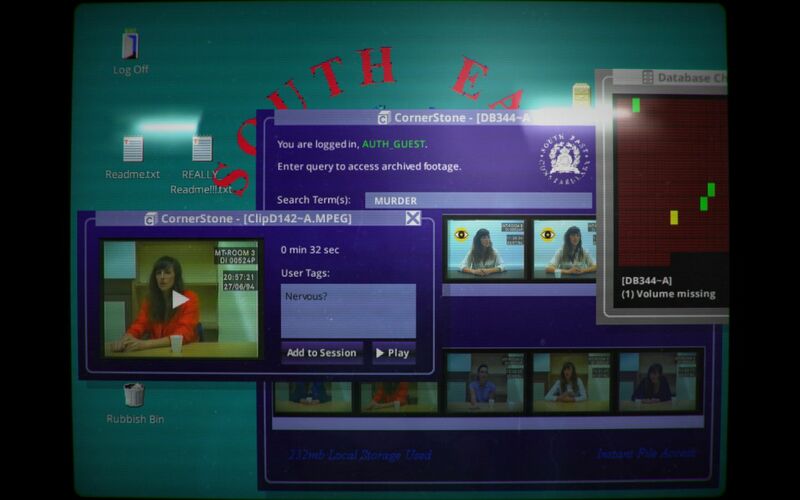 For those who missed this high-profile indie gem or the months of heated discussion around it, Her Story is a digital detective simulator wherein you sift through an aging computer database of interrogative police video clips from 1994. Only the interviewee tapes are preserved - nothing of the detective’s (or detectives’) questions can be heard - and the archaic metadata transcription system means that, while you use simple word searches to sift through these videos for content, you are limited to viewing the top five results for any given term. Other than clicking around the virtual desktop and tagging videos with your own notes, this search bar is basically the game’s sole mechanic, but boy does it get a lot of mileage out of it. Her Story unfolds in completely unique ways for every player due to this open-ended progression system and the near infinite number of possible search sequences that can be entered. I didn’t realize just how uniquely, however, until I began introducing the game to friends and discovering how utterly distinct the narrative can be depending on your pace and path of the discovery, the preconceptions individual players bring to the table, and sheer luck. As rich as these individual experiences can be, Her Story’s true potential shines nowhere more brightly than in a group setting. It’s engrossing to play the detective on your own and let yourself sink into the flow of your personal investigative narrative; it’s downright enthralling to do it as a party, feeding off one another’s speculative energy and bouncing your crazy theories and stratagems off one another like a bunch of drunken McNulties playing-acting couch Poirot. Pencils fly off of notepads, suspect profile are spouted, and the gaps between searches are filled with impassioned attacks or defenses on a particular character’s honesty or dishonesty, innocence or guilt, as all the strands of your thoughts and impressions begin to form the web that is your group’s Her Story narrative. Sure, the FMV search mechanic is an “novelty,” but Her Story is so much more than the disposable diversion that label has come to represent re gaming mechanics. It’s a meticulously crafted, one-of-a-kind experience representing no technological evolution beyond a mid-90s adventure game but glowing with ingenuity in the way that simple tech is used to create something intellectually and emotionally investing.